A lot of times when we set healthy living goals like eating healthier or exercising more, we focus on the things that we can’t do any more. The things that we’re going to be subtracting from our lives. We make lists of all of the unhealthy foods that we’re not allowed to eat any more, and the emphasis becomes quite negative when our goal centers around all of the “bad” foods that we shouldn’t eat. But if we put the focus on adding in all of the healthy and nourishing foods that are full of vitamins and minerals, then the goal becomes much more positive because we are focused on adding in all of the foods that we know will help us to be healthier rather than trying to avoid all of the foods that we shouldn’t eat. 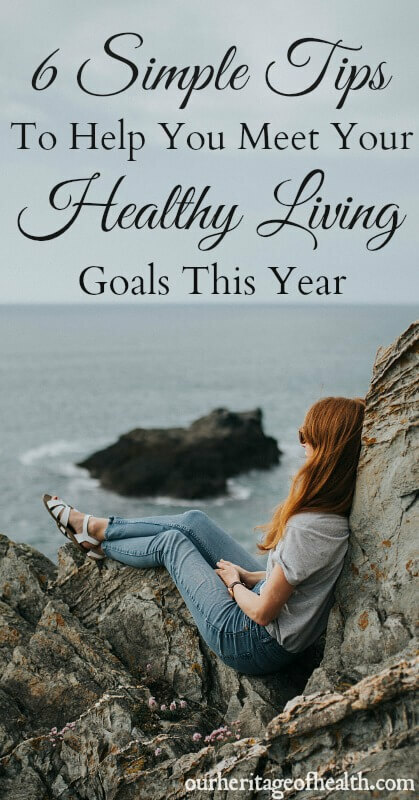 When we have big general goals like “Eat Healthier” or “Be More Active,” it can sometimes be challenging to actually make progress toward achieving those goals because they are so general and vague. Taking action on those goals is much easier when we can turn the general goals into smaller and more specific steps to accomplish. Whatever your goal for the year might be, it will seem more attainable if you have some specific steps to take rather than just a vague goal. This is one of the most popular tips when it comes to achieving goals and for good reason! When nobody else knows about the goal you’re trying to accomplish, then it’s a whole lot easier to talk yourself out of keeping those goals. But when you tell someone else about your goal and when you know that they might even be asking your about the progress you’ve been making, then it’s a lot easier to stay motivated. Or you could do this in an informal way by just telling a few friends about your goal or by setting up a time to go walking with other friends who are trying to exercise more or by swapping meal plans with friends who are trying to eat healthier. Or, if you don’t know of anyone who could keep you accountable for your goals, then you can share what your goal is in the comments below! If you don’t have a dog, then it can help to associate your exercise time with a certain part of the day like taking a walk every day before breakfast, or before lunch, or whatever works best with your schedule. The consistency is the most important part. Once you have an established routine set up, then sticking to your goals will much easier because you’ll simply be doing your usual routine and you won’t have to try so hard to keep your goals. Having a reward to look forward to when you accomplish your goal makes staying on track a lot easier and much more fun. Depending on how big of a goal you’re trying to accomplish, you could give yourself a big reward like a trip someplace fun or maybe a more expensive item that you wouldn’t normally buy. Or it could be something small like trying a new shade of a natural lipstick or getting some good quality organic chocolate. The actual reward doesn’t really matter as long as it’s something that you’re excited about and that you’ll really look forward to getting. And if your goal is broken down into several smaller steps, then you can set up a series of smaller rewards for yourself. Sometimes this can be even better than having one big reward at the end because it helps to keep you motivated and gives you lots of little successes along the way. Learning new things related to your goal is a great way to stay motivated, especially if you have a long-term goal. If you’re trying to eat a healthier diet, for example, then getting some cookbooks to try some new recipes or experimenting with some new cooking techniques can help your healthy diet to seem fresh and fun rather than a dull routine. Learning some new exercise routines or learning how to play a new spot can make staying more active seem like more fun, and if you want to live a more natural lifestyle, than you could learn more about how to reduce the toxins in your home or try out some natural DIY recipes. Reading books has always been one of my favorite ways to learn new things, and having a big library of books is a great way to say motivated to keep making progress toward your healthy living goals because there are so many new things you can learn. So if you’re looking for some new book ideas, you can check out my “Books” page to see my books and some of my favorites that I recommend. 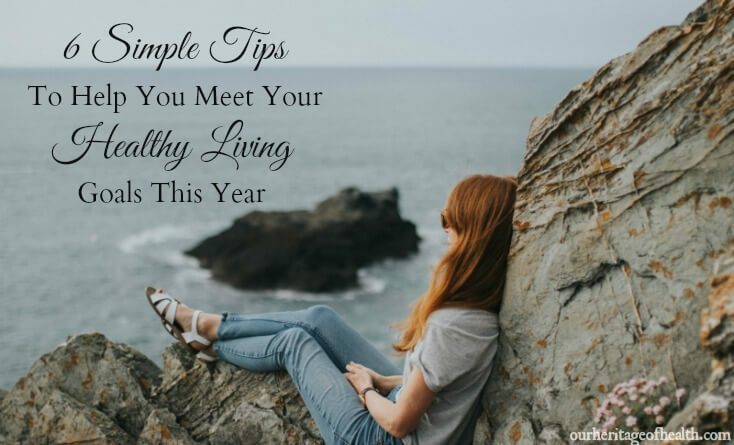 And if you have any other tips for staying on track with your healthy living goals, let us know in the comments!